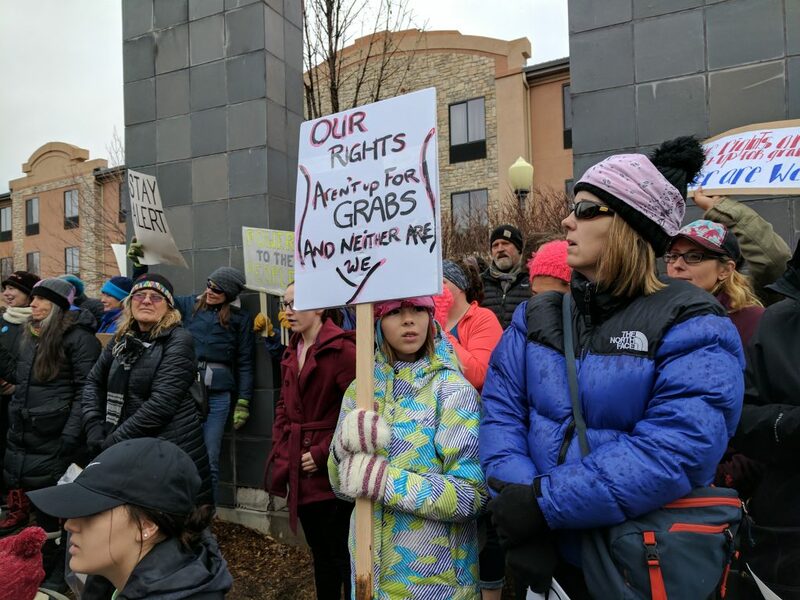 If yesterday’s massive Women’s March to protest Donald Trump in Grand Junction proves anything, it’s that western Colorado is clearly not a politically monolithic area for conservatives any more. 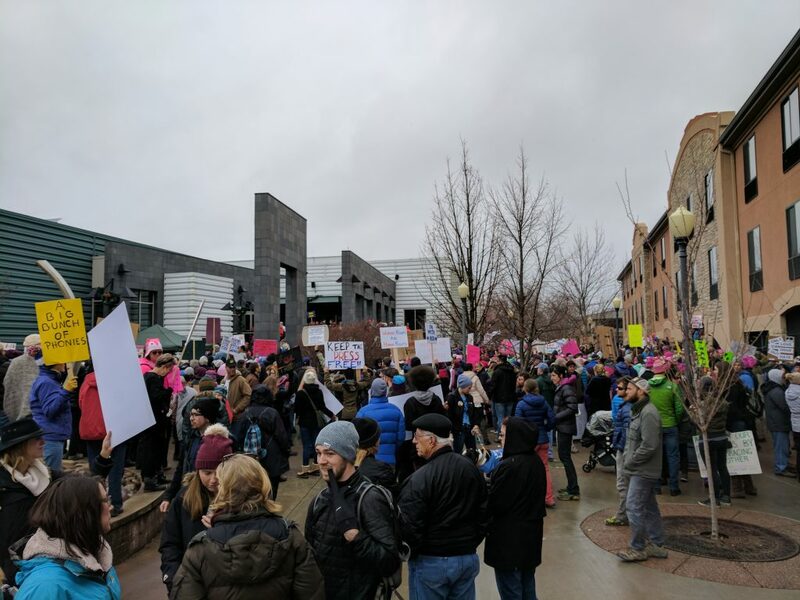 Grand Junction saw the largest crowd ever in its local history turn out today to participate in a march downtown in support of liberal values like women’s rights, equality, diversity and respect for all human beings. 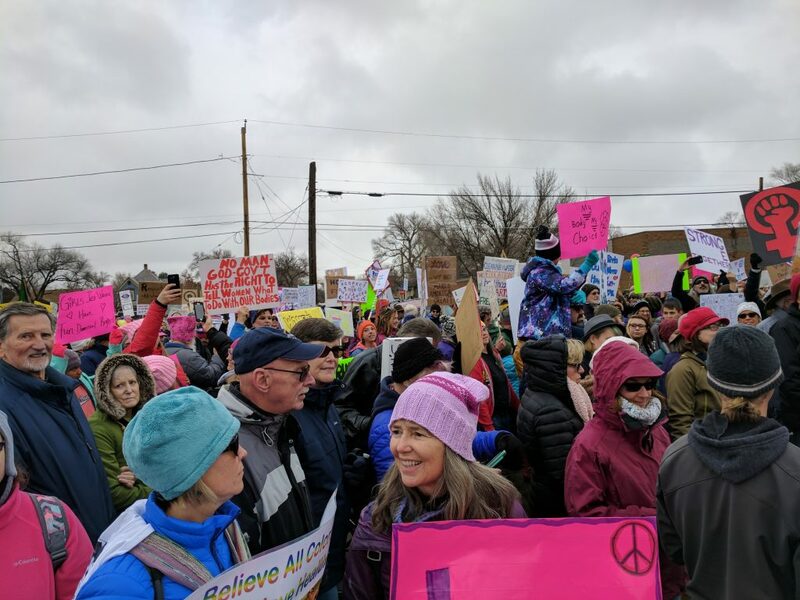 Grand Junction’s march was held simultaneously as, and in support of the massive Women’s March in Washington, D.C., as well and similar protests in New York, Chicago, Los Angeles other cities all across the world. 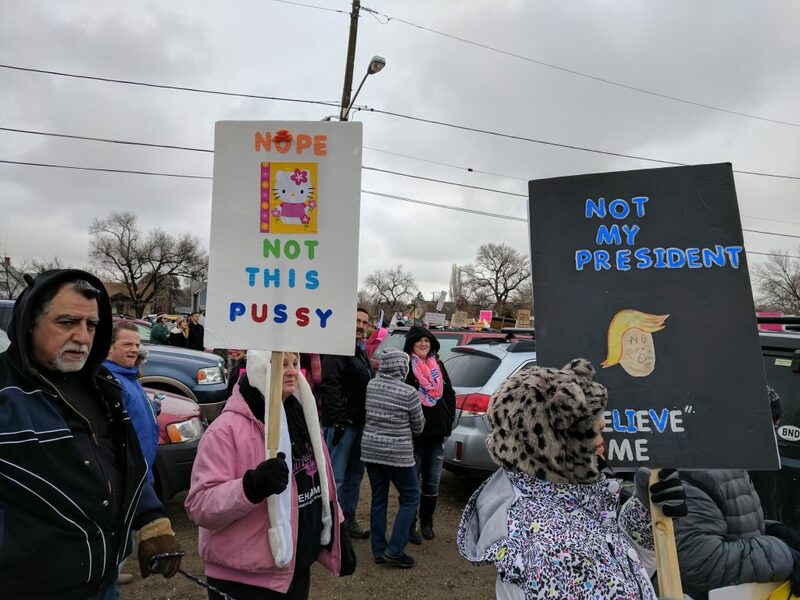 The marchers turned out they day after the presidential inauguration of Donald Trump, who openly insulted women in many ways during his long campaign for president and in public venues throughout his life and career. The weather was cold, overcast and drizzly as the march started at 1:00 p.m. in the parking lot behind R-5 High School. It proceeded down 8th Street, then west on Main Street to Two Rivers Plaza. 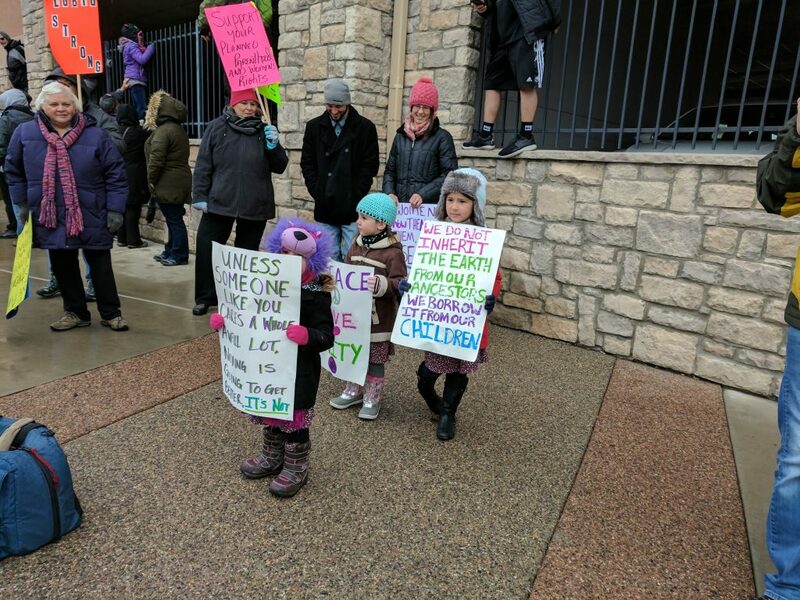 Estimates put the crowd at anywhere from 2,500- 5,000 participants. Marchers stopped traffic across downtown. The march was steadfastly peaceful, and had a turnout huge despite the bad weather. The election of Trump appears to have stimulated a potent wave of liberal activism not just on the normally-conservative western slope, but across the entire country and the world, the result of millions of people who remain appalled that Trump managed to win the electoral college after conducting the most shocking, divisive, insulting, uninformed and egotistical campaign in U.S. history, and after all three U.S. intelligence agencies announced with clarity that Vladimir Putin of Russia had personally helped Trump get elected. We were shocked at how many people were there. It was great!!! Largest crowd ever? Absolutely false. Country Jam dwarfs this crowd yearly as does the Mesa County Fair. Hard to digest anything else when the article begins with a blatant lie. Rose Pugliese was thrilled to be at the inauguration. She was only 30 feet away!